This page will de devoted to showcasing, reviewing, and explaining some of my favorite tools. Some of my favorite tools are those made by folks in the community, but I also enjoy the higher quality commercial ones. Also, lately I've been developing my own tools that are a bit out of the box than what we typically see. 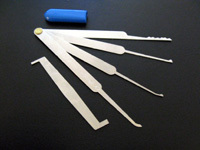 I've been focusing on designing and creating experimental picking and decoding tools for unique and typically high-security locks. I consider this site to be a public offering, therefore; the most cutting-edge stuff that I create or learn about from others will likely not be displayed here immediately. Although, I do not completely sync with LP101's disclosure policy, I do follow it here in a rough manner. This is a very thorough review of Raimundo's incredible bogota picks. Many folks have pointed out how effective they are, but this page seeks to quantify that effectiveness. 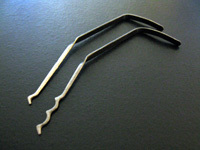 Through a series of structured tests by myself and newbie lockpickers, I compare the various style of Bogota against each other. This page tells the story of a tool I designed and built called the Medecoder. It enables the operator to both pick and decode Medeco Classic, Biaxial and m3 with relative ease. By reading this page from bottom-up, you can get a pretty complete picture of how the tool came to be, how the community reacted, and how Medeco responded. This is a game I wrote that I believe is the first and only realistic 3D lockpicking game. It is available for Windows and Linux and also open source. Be sure to read the documentation to learn how to play and let me know what you think. I spend quite a bit of time at my favorite hackerspace: Null Space Labs. One of the toys at the space is this huge Laser Cutter. 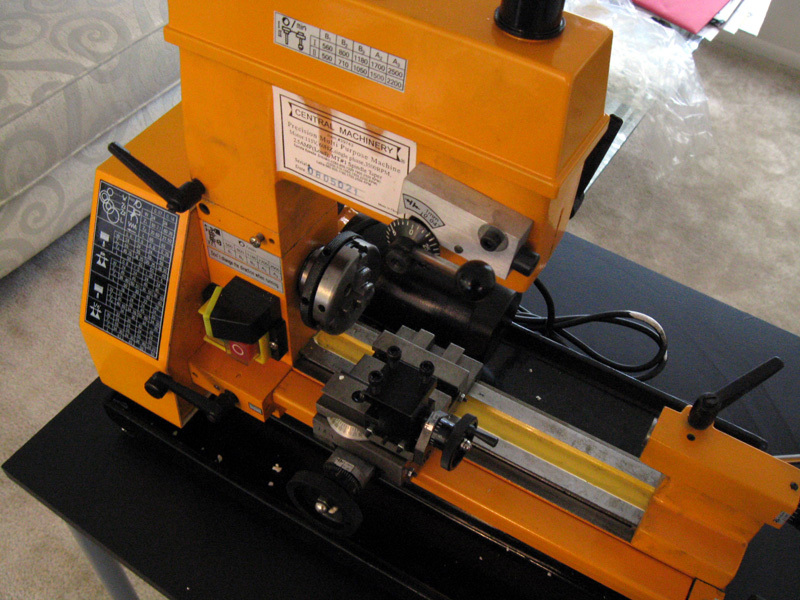 It is able to cut and, more importantly, engrave materials like acrylic. Naturally, I've been looking for excuses to use this thing in lock projects. So I spent a couple of days writing some code in Visual Basic(of all languages). It takes a photo of a keyway and allows the user to rapidly turn it into a keyblank for that keyway. First the user clicks points on the photo and defines the scale based on a known reference (like plug face diameter). The program then generates a .DXF file for both sides of the keyblank and aligns them. Once this file is taken to the laser cutter, the user opens the resulting config file and the software automagically edits it to have the proper laser power and speed settings. Next the user cuts both sides of the keyblank, puts it in the lock, and wins. For this test-run, I just used Best SFIC but it should be obvious that this method could easily be used to create restricted keyblanks with nothing more than a photo of the keyway...and a really expensive laser cutter. 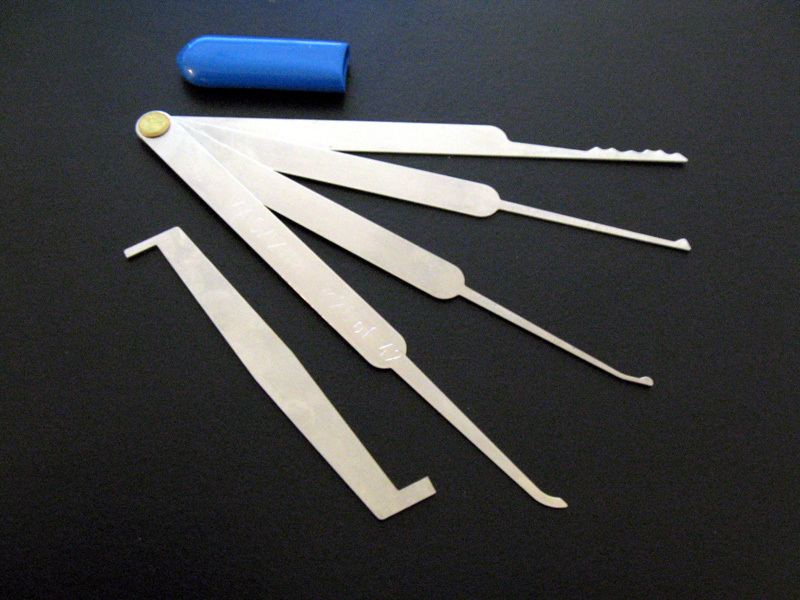 Disclaimer: this is not strictly a lockpicking tool, but it is very related to the same. I finally bit the bullet and picked this beast up from Harbor Freight. I've found that my interest has drifted more and more toward building tools that don't exist yet. The combined mini-mill/mini-lathe that makes up this machine is light enough that I can comfortably move it around and use it in my apartment. So far, I'm still getting used to it and working on slowly purchasing the tooling needed to use it effectively. 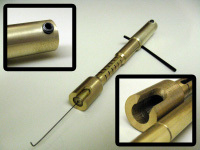 This should allow me to make more fun tools and hopefully advance the state-of-the-art of the locksport community. This pick set was a limited run put together by the folks at NDE Magazine. I was among the lucky people that were deemed worthy of receiving these serialized pick sets. At first, I asked for and was given #33 of 42. After Marc Tobias expressed a real interest in that number (I forget why), I agreed to give him that set and got #20 of 42 instead. I haven't really picked with them yet, but I felt they were worth mentioning here to show my appreciation to the NDE staff. Squelchtone handed me this set and a Kaba Gemini at The Last Hope conference in New York (in exchange for a Medecoder). These wrenches (especially the second one from the front) have now become my favorite tension tools. The serrations on the heads are a feature that most tensioners are missing. They do a fantastic job that gripping the keyway to prevent slippage and will fit into pretty much anything. 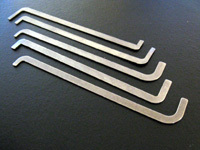 Flat tension wrenches like these are designed for what's known as "top tension". I have really fallen in love with this style for a number of reasons. A big one is that by tensioning from the top of the keyway, you free up a lot of space for pick maneuvering. It may just be my perception, but I seem to seeing more and more pickers moving away from the traditional wrenches and toward tools like these. Also, I'm not sure they're worth the list price ($40 as I recall); if you might be able to produce tools like these instead of buying them definitely try it out. These picks were made by TOOOL (or was it TOOOL USA?) for The Last Hope. I picked up a couple of sets for folks that asked me to and also snagged one for myself. 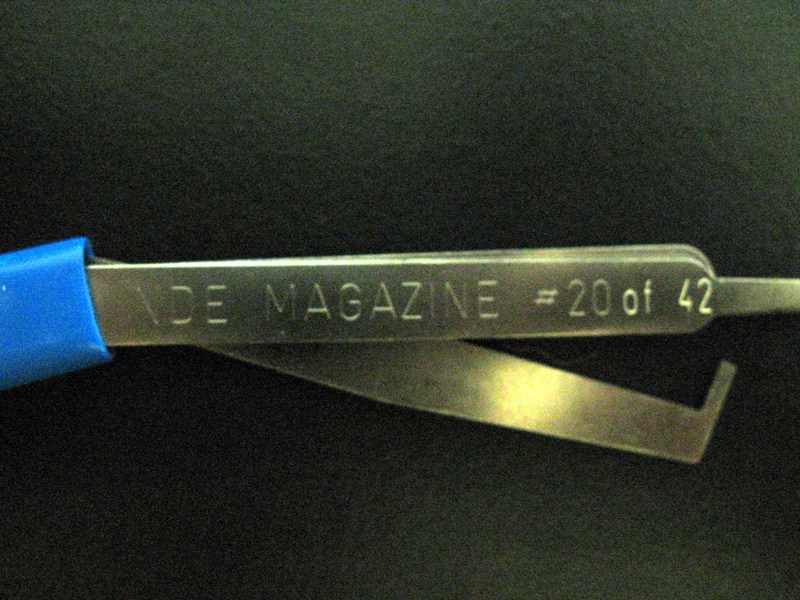 This is actually two sets; one double-ended pickset and a business-card snap-out set. The business card concept can also be seen in Keven Mitnick's card. This one is neat, however, because the borders actually snap out as well to create tension wrenches. 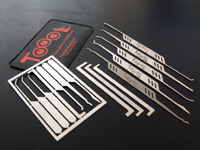 The other set is composed of a wide variety of double-ended euro-style picks and some flat tension wrenches. 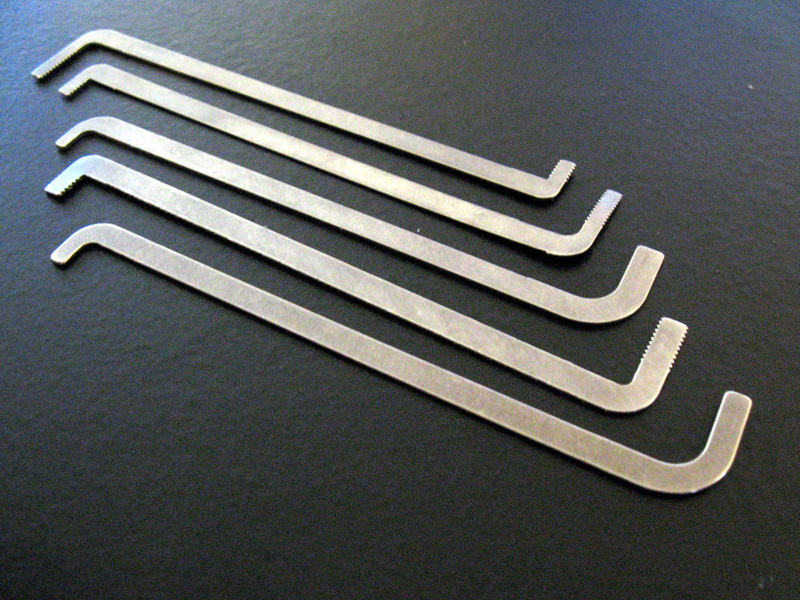 These picks are really great for poking around in tight keyways.